I’m excited about launching a newsletter! Bible study tips and aids. In 4+ years of writing daily devotions, I’ve found many helpful resources. 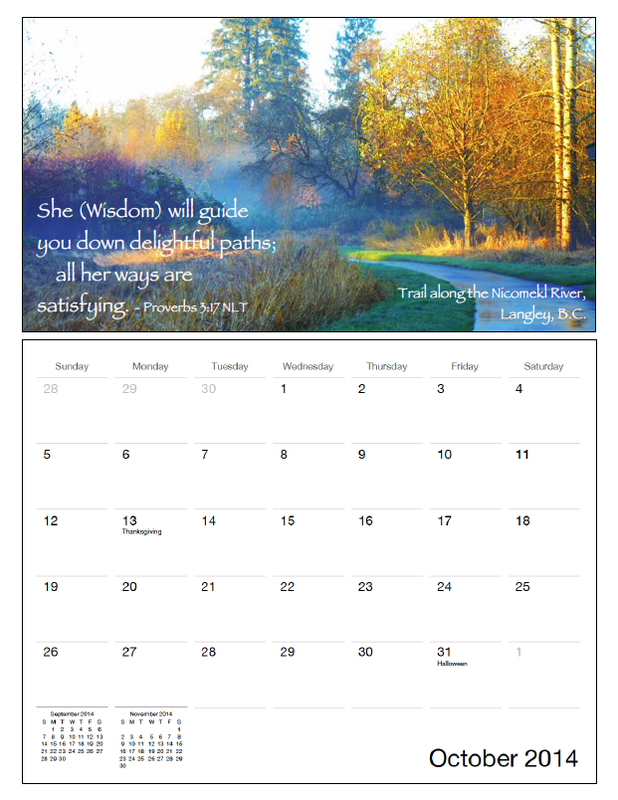 Sample page from the 18-month Pathways Calendar. The newsletter will come out quarterly (four times a year). I’m currently collecting subscribers for the September 1st launch. Get Pathways, a colourful 18-month scripture-text calendar, when you sign up (designed by me especially for all you wonderful subscribers. Click on the sample page on the right to enlarge)! This sounds interesting, Violet. Thanks. Thanks Sharon! I’ve put off doing this for so long… It feels good to finally get it off the back burner and cooking! Thanks so much, Tracy!! Appreciate it.